Watched a Mitt Romney campaign speech on C-span last night. Overall, highly impressive; a good speaker, knows how to teach and sell, knows when to give new information. Especially impressive on health care and education, both totally broken. He seems to have listened to Newt on education. "We need to focus much more on math and science, especially on materials science".... Bingo! All my circuits lit up at that moment. Here's a man who actually understands reality! Materials science is not a household word; it's not part of our mythology and folklore of science. On the rare occasions when we teach anything of science, we teach Big Ideas and Big Inventions. Darwin and Edison. Materials science is certainly not taught in school, and you'll never hear a youngster say "I want to grow up to do materials science." But most of the technical development in the last century has not been from Big Ideas or Big Inventions. It has been in the realm of materials. Consider the automobile. Gas engines, electric motors, gas-electric hybrids, front wheel drive, fuel injection, automatic transmissions. All invented and (at least nominally) commercialized by 1910. Modern cars, light and efficient, result from long and patient development in metals, plastics, glass, and petroleum. New ways of forming, shaping and compositing those materials have made those early ideas practical. Or the computer. Morse invented the keyboard, punched tape, and printer in the 1850's. Programming, in the sense of setting up a machine to process its inputs in a desired way, has been around since the pipe organ. Logical decisions and counting were well developed by 1890 in telegraph technology, such as annunciators and tabulators. Bring in the Fleming diode and the cathode ray tube, and all the basic inventions are present by 1910. Modern computers, small and super-powerful, result from long and patient development in semiconductors, composite circuit boards, and magnetic and optical surface coatings. Materials again. So I've concluded that my father-son analysis was on the mark. Mitt's father, as president of American Motors from 1954-62, did three things: (1) Accurately understood the strong and weak points of his company. (2) Understood economic and consumer trends which blindsided other auto executives. 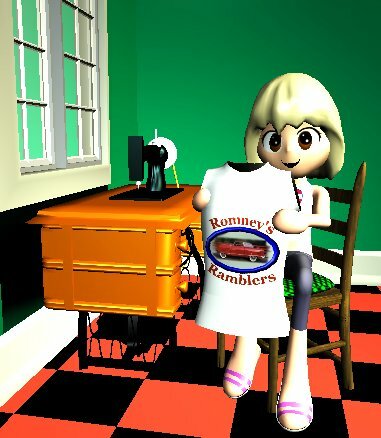 (3) Used his understanding to bring Rambler from 12th place to 3rd in sales. Quite a trick in 6 years. I can see similar traits in Mitt. (1) Understands America's strong and weak points accurately. (2) Tells us about those strong and weak points in a way that places the blame properly. (i.e., no new tone!) (3) Focuses on trends and offers solutions, aiming to use America's strengths where possible. Obviously we know in hindsight that George Romney's prophecies and solutions were good in 1962; we can't determine yet whether Mitt's prophecies and solutions will be good in 2009. But I'm placing my bet right now.